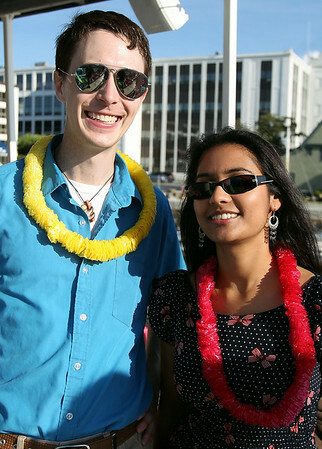 Jeremy Ebersole, of Essex Heritage, and his date Melanie Govender, at the North of Boston Convention and Visitors Bureau's Sail Into Summer Fundraiser aboard the Hannah Glover on Wednesday evening. DAVID LE/Staff photo. 6/18/14.